Does Pavement In A Warm Climate Still Need TLC? Whenever winter hits the United States, there is a flurry of warnings about the dangers of snowfall and ice — and Texans laugh. Yes, warm southern climates get less snow and sleet than the north, if any. But does that mean that Dallas asphalt deserves any less attention than Maine roads? Of course not. Let’s go over what kind of damage can happen to common pavement in warm Texas weather. First of all, the kind of paving material being discussed is important. Concrete tends to work better in hot climates as it can be broken up easily by snow and ice melting and re-freezing, but holds up well for a few decades when well maintained in a warm climate. Concrete maintenance is expensive, both to install and to repair or replace. Did you know that Detroit built the first concrete road back in 1909? It was only a mile long and cost $13,492.83. Today, that would be almost $350,000 when you adjust for inflation. It’s gotten even more expensive today to build a mile of road — more like millions of dollars. Pavement providers need to be extra careful pouring and setting concrete in hot weather as well. Even after the concrete has cured, heat expansion within the concrete can cause dangerous and unsightly cracks or divots. A minor aspect of concrete maintenance is that you’ll need to break out the power washer more often to keep it looking clean and like-new. Concrete that’s its typical, untinted light color stains very easy. If you’re in an area that doesn’t get a lot of rain or snowfall, that concrete isn’t going to wash itself. 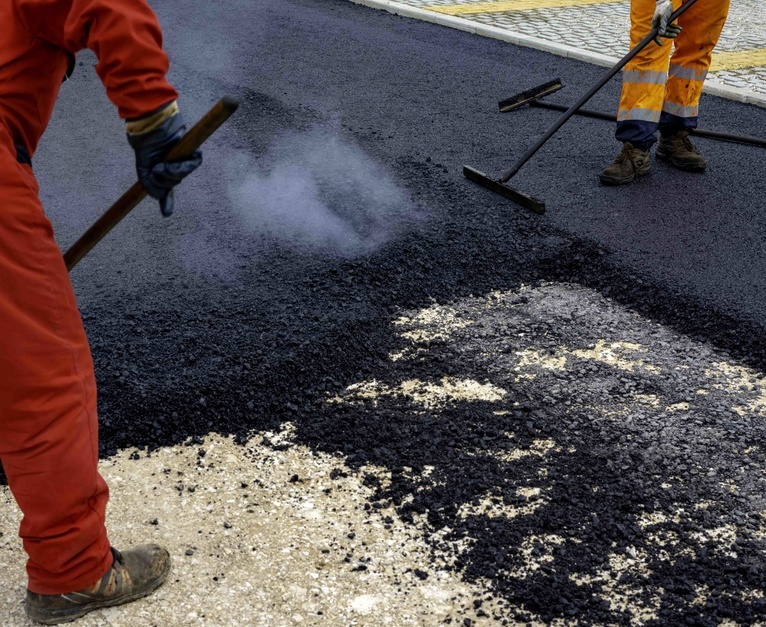 Asphalt, on the other hand, is faster, more environmentally friendly, and around 35% cheaper than concrete. It’s not affected by cold weather and doesn’t deteriorate from winter’s harsh road salt. And yet… extreme southern heat plus gooey asphalt does not mix well. Anyone who has attempted to walk on asphalt on a sunny, 100-degree day can tell you that it gets oily, sticky, mushy, and very, very hot due to its heat-absorbing dark color. Luckily, asphalt is relatively easy to resurface every few years. In the meantime, complaints may arise of asphalt-coated flipflops and slight tire track impressions. So while you may not be dealing with sealing concrete cracks as often as a northern U.S. state, warmer climates still need to be aware of the damage that can happen to their pavement from sunshine and high temperatures. Regular asphalt and concrete maintenance make southern roads, driveways, and sidewalks last much longer than their northern counterparts on average. Keep up with routine repairs and you’ll be in the clear.